Let’s Spread the Love with Soap! I love handcrafting new goat milk soap creations. I really do. It is most definitely the season of giving, and I want to give. I want to give to you, my wonderful readers. I am giving away some of my soaps to a winner drawn at random. I am even going to double my offer. Not only will the winner receive soap for themselves, they will also get to choose a loved one, friend or family member to also receive some of my soaps. It will be a gift from you and me to them. for the person of their choice. I will ship the soap to the person that our winner chooses! I am only going to ask one thing of you for your initial entry into this giveaway. 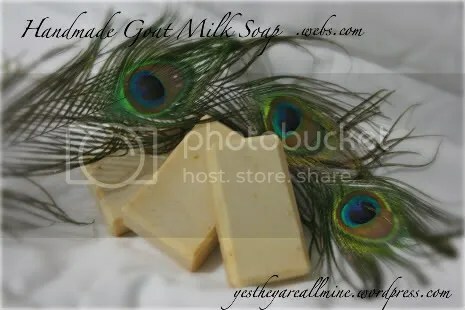 Please, pop over to my soap site, Handmade Goat Milk Soap, and tell me your three favorite scents. You will be earning your first entry as well as helping me to decide which scents to continue making. While you are there you can check out my FAQ page to find out more about my soaps. ♦Facebook about this entry- let me know in a comment that you did. ♦”Like” Yes, They Are All Mine on FB– let me know in a comment that you did. ♦Subscribe to Yes, They Are All Mine via feed or email- let me know in a comment which one you did. ♦Blog a little blurb about this giveaway on your blog- leave me a link in an email. ♦Follow me on Twitter- ContentedRhen– let me know in a comment who you are on Twitter and that you are now following me. This giveaway will run until Friday, December 10th, at midnight cst. A winner will be chosen at random. That winner will have 48 hours to respond, or a new winner will be chosen. If you have any questions about this giveaway, or my soaps, feel free to ask! A Giveaway- just because I like you! This giveaway is now closed. Thank y ou for dropping by. I hope you take a moment to explore my blog! This giveaway has TWO sponsors. Myself and a young jewelry designer I know. We have paired up to bring you a giveaway perfect for the Christmas season. One winner will receive a prize pack containing several different items! 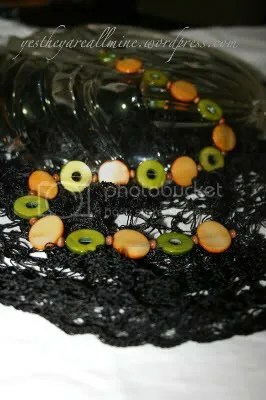 The First item is a one of a kind, handmade glass necklace. This gorgeous necklace was donated to the giveaway by Sassy Sweet Designs. The next item is a Point of Grace Christmas CD. The women of Point of Grace have absolutely beautiful voices that harmonize wonderfully in It’s the Most Wonderful Time of the Year, Winter Wonderland, Jingle Bells, For Unto Us and more. 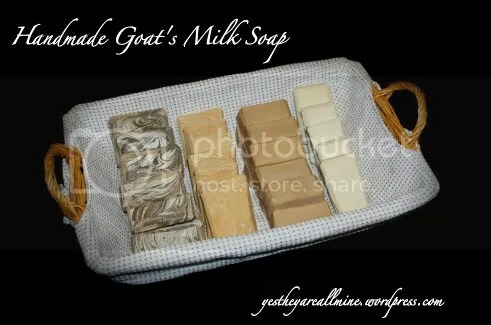 The final items are 3 bars of handmade goat’s milk soap. You get your choice of scent(s). 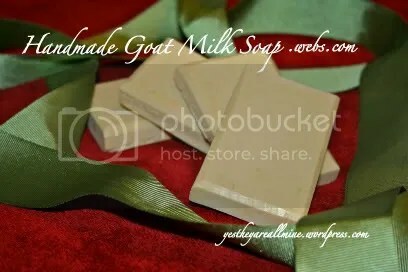 The goat’s milk soap contains several different oils rich in vitamin E, pure essential oils, goat’s milk and no lard or pork byproducts. It is gentle enough to be used on your face, and cleanses well enough to be used everyday. You get your choice of one or any combination of the following scents: Lavender and Oatmeal, Fresh and Clean, Citrus Exfoliating Blend, Holiday Spice or Clove ~n~ Honey. Bars weigh approx. 4 oz each. How do you win? Easy! Take a brief moment to pop over to Sassy Sweet Designs and check out what she has. In a comment, tell me which item do you like the best. What catches your eye? That’s it! ♦Please leave a seperate comment for each item you do for an entry. ♦Open to US residents only. ♦You do not have to have a blog to enter. ♦Contest will run until Monday December 14th at 11:59 pm (EST). 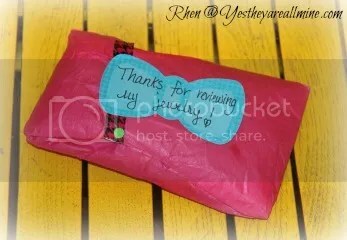 ♦The winner has 48 hours to respond or another winner will be selected. ♦If you have any questions about anything you can email me at cottonblossom424 at yahoo dot com. Danielson Designs Review and Giveaway! This giveaway is now closed! You are invited to take a moment to visit Danielson Designs by Poiema Place to do a little of your Christmas shopping! 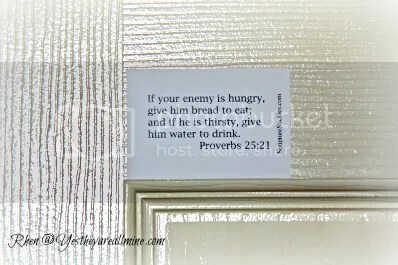 I was extremely excited when Rozlynn of Danielson Designs by Poeima Place contacted me about reviewing one of their products and hosting a giveaway. Just by Rozlynn’s email I knew this was going to be not only fun for me, but fun for you. A little background. Rozlynn is a work at home mom, (Poiema Place) who is an independent rep for Danielson Designs. Danielson Designs is a company who prides itself on being eco-friendly, based on strong values, understanding the importance of quality products being made in America, and giving back as much as they can. Danielson Designs really blew me away with not only their commitment to environment and people, but also to quality products. All of their signs and frames are made of recycled wood, and all paints used are green by being water-based. How can I not get excited about checking out what they do? Rozlynn gave me the choice of which product I wanted to review. I was a kid in a candy store! So many beautiful things to choose from. It was not easy! I finally chose a Welcome sign. I wanted something to welcome guests in a personal way from our family. 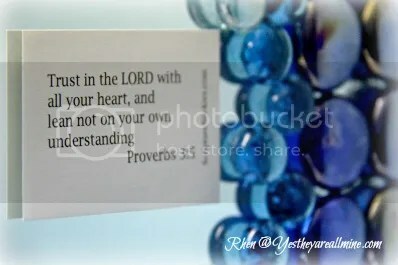 To pass on a blessing to them from us. The designer in me got to come out to create! I have to be upfront with you and share that I am not the world’s most artsy-craftsy person. I wish I was, but I am not. With Daneielson designs that is all okay. I have been on other “you are the designer” sites before, and I fully expected to have to jump through all of the same hoops to make something into what I had pictured in my head. Not so! It was so easy, and I got to compare several different designs at one time. Loved it! When I received my sign I was very impressed with the packaging. There was no way my sign was going to be damaged! It was securely packed and surrounded by recyclable paper shreds. Then I pulled out my sign ,and it was like opening a present. The attention to detail made it even better. Now to the best part. I get to give away not one, but TWO Danielson Designs by Poiema Place products to my readers. TWO!! Thank you Rozlynn for being so generous! Am I going to make you jump through a bunch of hoops just to be able to enter? Of course not. I don’t roll that way. There is only one thing you have to do to enter, and that is pop over to Poiema Place and design something for yourself. Pick anything from their fantastic selection to personalize any way you want. Here are a few examples of what you can do. 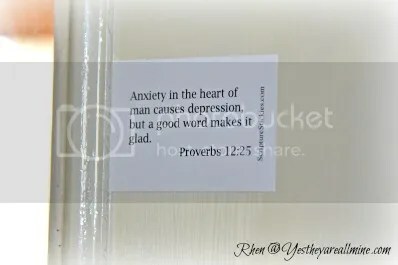 Be inspirational with your favorite quote. A beautiful frame for your adorable pooch. How about a picture of you when you were little in a frame personalized just for your mom? Or maybe something to remember your kids’ time at camp. Is there a family who is special to you that you would like to gift with a monogram sign designed for their family? Here is a great personalized gift for someone who is expecting a baby. 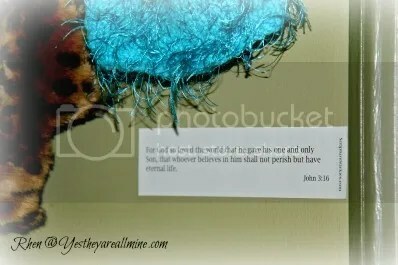 A sign with the baby’s name on it and a special blessing from you to them. There are so many choices in signs, monograms and frames. You can create some beautiful, unique and personalized gifts for the special people in your life. A great way to say thank you to someone, give as a birthday or Christmas gift, or for yourself. Here is how you can win your CHOICE of Danielson Designs by Poiema Place products. Like I said, pop over to Poiema Place, and look over the beautiful products they offer. Take a moment and design one for yourself, then come back here and tell me in a comment what you liked and how you personalized it. I am very interested to hear some of the creative ideas you come up with. You must do this to be entered into the giveaway. After you do your initial entry there are several ways you can rack up more entries. 1. You can earn 1 entry by subscribing to Yes, They Are All Mine. Leave a seperate comment to let me know. 2. You can earn 1 entry by twittering about this giveaway (unlimited). Leave a seperate comment with the twitter url. 3. You can earn 1 entry by following me on twitter. ContentedRhen. Leave a seperate comment telling me who you are on twitter. 4. You can earn 1 entry by emailing others about this giveaway. Leave a seperate comment letting me know you did this. 5. You can earn 2 entries by blogging about this giveaway. Leave a seperate comment with the url to the blog post you wrote about this giveaway. 6. You can earn 10 entries by purchasing a Danielson Design product through the Poiema Place site. All orders will be confirmed. Each product you purchase is worth 10 entries! With the holidays approaching fast Rozlynn has extended her generousity to everyone. From now until December 4th you will receive $10.00 off of your order when you enter in the promo code ALLMINE! With the ease of designing beautiful gifts and the bonus of saving money, you can take care a lot of your Christmas shopping through Poiema Place. *You must do the initial entry to do the additional entries. *You do not have to have a blog to enter. *This giveaway is open to the continental US only. *This giveaway will end Friday November 27th at midnight (12am) EST. *2 winners will be drawn randomly Saturday November 28th. *Winners will be notified via email. You have 48 hours to reply to that email or a new winner(s) will be drawn. If you have any questions feel free to email me at cottonblossom424 at yahoo dot com. Wee Huggers Review and Giveaway! This giveaway is now closed! Check for new giveaways. There is a new cloth diaper that is taking the world by storm, and it has knocked my socks off! Over the years I have tried many different cloth diaper types, styles and materials. Of all of the AIO’s I have tried, I have yet to find an AIO I actually liked, looked cute and it didn’t leak everywhere. I got so tired of changing outfits every time I changed an AIO. Well, Wee Huggers has given me hope! The wonderful WAHM’s behind Wee Huggers sent me this badboy to try out. The moment I opened the package I could tell that this diaper was different. It has a completely different feel to it. Like nice clothing. It has substance to it, yet was not bulky in any way. The next step was to try it on Ms. Dimples (2 mo). It fit her beautifully with plenty of room to grow. There were no gaps around the legs or back. The closures held firmly and securely. This diaper is made out of such nice material that you want to show it off! How adorable it is under little dresses! My Wee Huggers AIO washed extremely well and retained its shape, softness and fantastic look. I will definitely be adding a few more of these to my cloth diaper stash! 6 layers of 14.5 ounce weight French Terry Bamboo blend. Cotton made and milled in the USA. Organically Certified. Bamboo grown in Asia and milled in USA. Bamboo has been processed in a “closed loop” system. Bamboo fabric has been finished using Global Organic Textile Standards (GOTS). Cotton cover is Oeko-Tex Standard 100 certified. All fabrics have been whitened with hydrogen peroxide instead of chlorine bleach. No optic whiteners have been used. Latex free elastic. Hook and Loop closures. No additional cover is necessary. 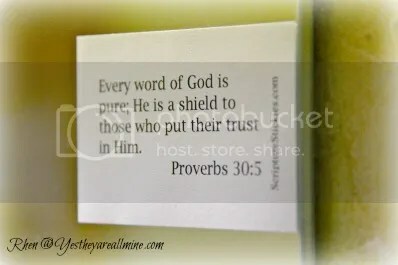 Initial Entry: Take just a moment to pop over to Wee Huggers and check out their products. Come back here and tell me what you would like in what color. That’s it! A little online window shopping. How about ways of getting additional entries? Sure thing! But, make sure you do the initial entry first, or the additional entries will be invalid. 10 entries (yes 10! 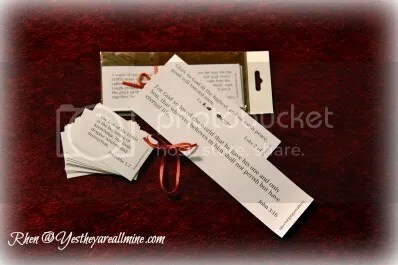 )- make a purchase from Wee Huggers anytime between now and the end of this giveaway. Why not take a moment to enter my other current giveaways?! CoQ10 Health Supplement $49.99 value! Posted in baby, Contests and Giveaways! !